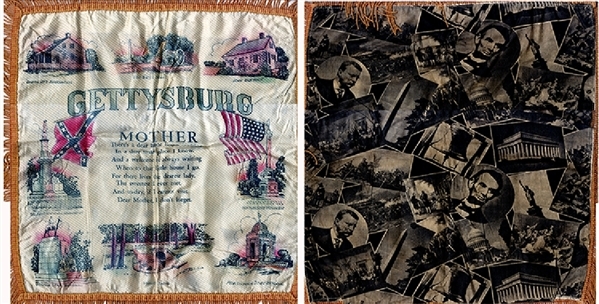 Gettysburg souvenier silk banner 17”x17” with tassles, colored, with GETTYSBURG at center and vignettes of the various important sites of the battle. Verso with printed images of important American history scenes. Fine condition.